This is the perfect journey to give you an overview of Kenya. We will find your interests and customize options to suit the group. Some of the options on your journey include visiting artists at their workshops, touring a coffee or tea plantation, and visiting or teaching a class at a primary or secondary school. This journey will leave Nairobi after a good night’s sleep to wind your way North to Isiolo. 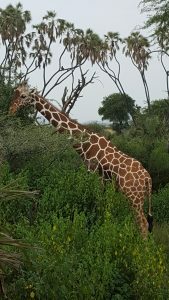 In addition to service in Isiolo, you will have a wonderful full day SAFARI where you can camera shoot lions, leopards, elephants, zebra, giraffe and more in their natural unfenced habitat. Then you will travel through the Rift Valley to Expanding Opportunities’ JWHS Children’s home. You will stay at the children’s home and immerse in the village life of Mangu. You may work on a building project, distribute shoes, clothing or school supplies, paint or teach. On your way back to Nairobi you will have the opportunity to walk with a giraffe.